Many individuals struggle against everyday barriers to good health. These realities pose challenges to families, businesses, and health care providers, and policymakers to address the needs of our society. 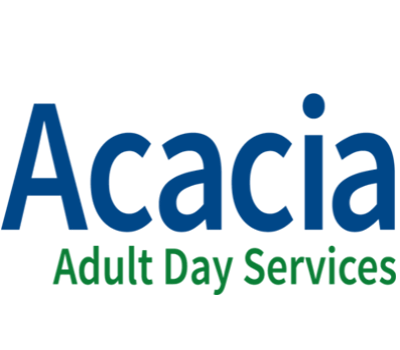 Acacia Adult Day Services offers a solution – 36 years of providing services and health care in a community based setting to vulnerable adults and persons diagnosed with Alzheimer’s disease, related dementias, and other disabilities. Acacia is open Monday through Friday from 7:00 a.m. to 5:00 p.m. Individuals are able to attend anywhere from 1-5 days a week, depending on the amount of assistance needed. To provide supervised care in a safe environment. To maintain and improve a participant’s health and physical abilities enabling them to live in the community. To offer an opportunity for individuals to socialize with new friends while enjoying a variety of therapeutic activities geared to their interests. To support the family caregiver with counseling, education, resources and advocacy. To allow our participants to maintain their independence.